A couple of level-ups to show off today. 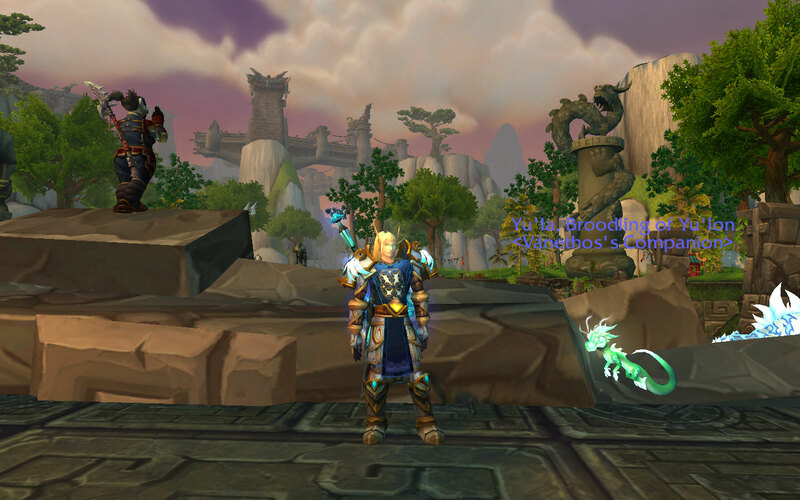 First, my human warrior Sanbec became my second character to hit max level. He promptly upgraded his garrison of course and got his menagerie set up so that he could have pets wandering around just like Van does. Speaking of pets, my adorable Elekk Plushie also dinged max level recently. I still have a ton of trainers to beat with her on the team, which is going to require leveling a few of my other pets first, but that’s ok, there’s plenty of time. 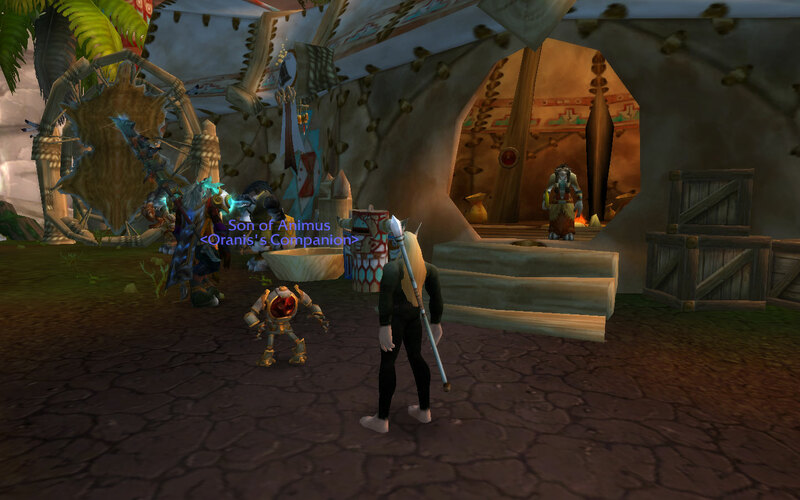 In other news, I received a bit of a shock last night when I logged on … I was the only person online in the guild. Say what? 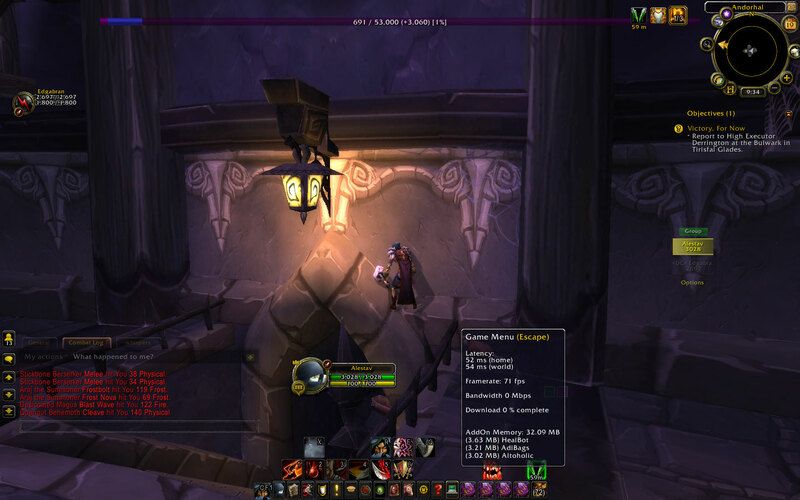 It’s raid night, where is everybody! Then I checked the guild message of the day. Oh. I see. The guild had been doing a joint mythic team with another guild. Obviously, if you’ve ever tried to do this you know how inconvenient it is to not have everyone in the same guild. I mean, it’s doable, but it’s just so much simpler when everyone is together in one. Rather than choose between the two existing guilds, they created a new guild for the raiding team. Makes perfect sense, but I knew it would mean the regular guild would be much quieter and eventually the alts that hadn’t moved already would also go. So for now, I moved back into my own guild. Might as well have access to my guild bank, right? Maybe later I will move into the new guild but I couldn’t really ask while they were raiding so I will wait until a non-raid night when people are available to chat. There. Finally finished getting the last of the celestial pets. I never did recreate a set of teams for the group of tamers that had Wrathion in it. I never had enough humanoids left after beating him to also beat Yu’la, so I have always skipped the tourney on the weeks that his group of tamers is up. I spent a good part of the weekend mining ore so I could gem and enchant my DPS set, crappy though it may be. There are some fights where we need one of the healers to DPS, and of course none of us really wants to or is good at it. So I’m going to give it a try. I’ve studied the stat priorities, the best use of talents, and the ‘rotation’ (although of course it’s a priority system rather than a strict rotation, which is pretty standard these days). 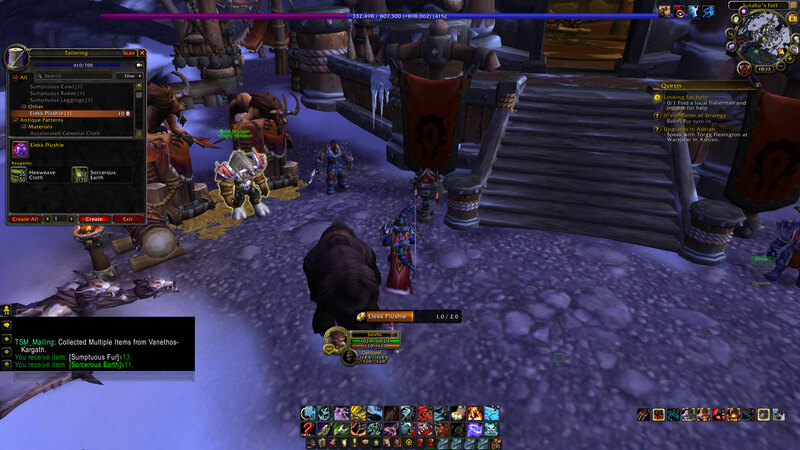 Tonight we have the full raid time just on Garrosh, so hopefully we’ll get him. In other news, I finished the RAF pair I was working on. Oranis is back to bank alting for now, mostly naked with his heirlooms stripped off and sent to the new lock. 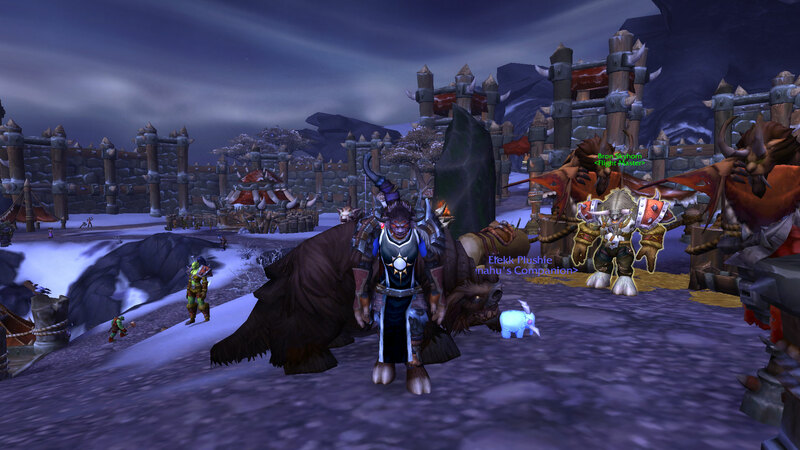 The guild hit level 5, partly due to the help of Trout’s belf priest Bartok, who hit 90 over the weekend. So the new group is an undead rogue named Alestav for the main account, and a lock to power through the quests because locks are OP. They are already up to level 38. One last shot here, to show why I love both Kargath and my new computer. I never saw numbers anywhere near as good as these on any other server (for the lat) or on my old computer (for the fps). I mean sure, I said something like ‘cool it dropped’ to my friend when I got the staff. But the pet? That got a ‘YES’ and a link. And a toon swap to my bank alt so he could go battle some little thing in the city and see it in action. Because we all know what’s most important, right?